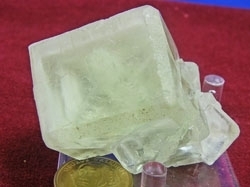 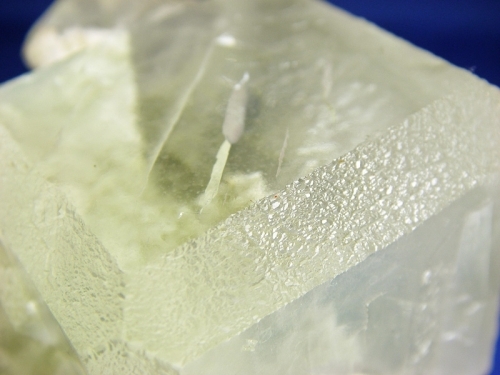 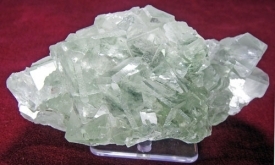 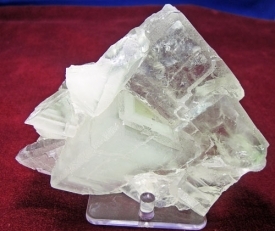 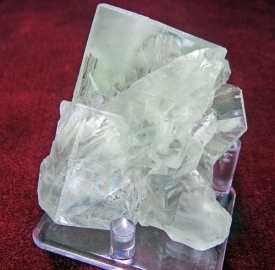 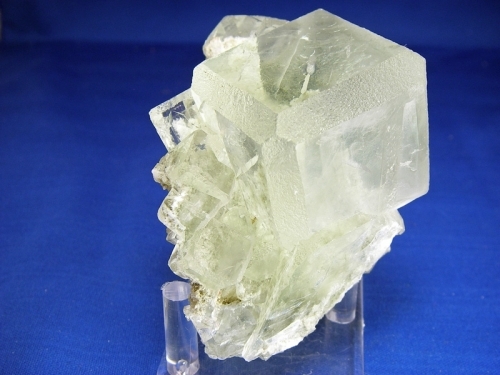 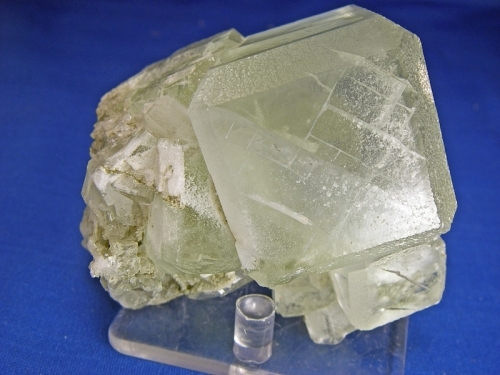 GREEN FLUORITE FROM XIANG HUA PU MINE, HUNAN PROVINCE, CHINA.. MAIN CRYSTAL IS 1 1/2 INCHES SQUARE. 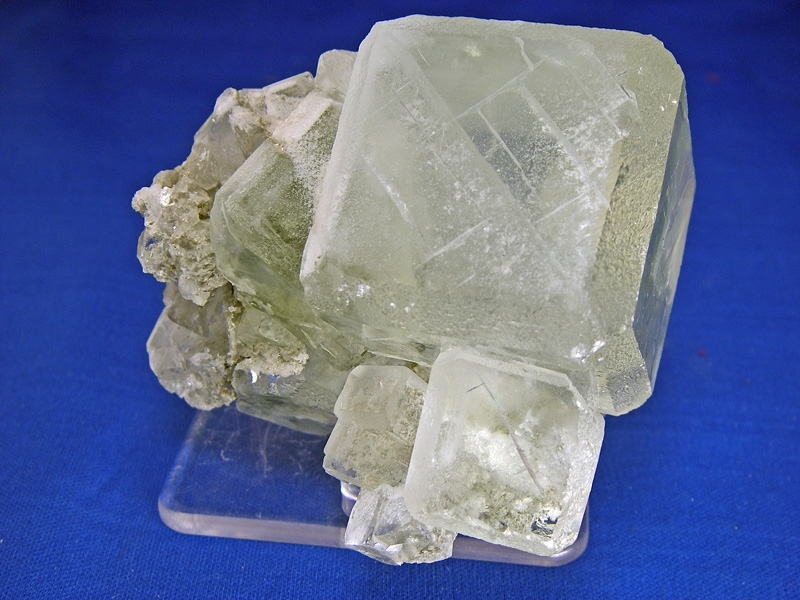 SPECIMEN SIZE IS 3 X 3 X 3 1/2 INCHES. WEIGHT IS .86 POUNDS. 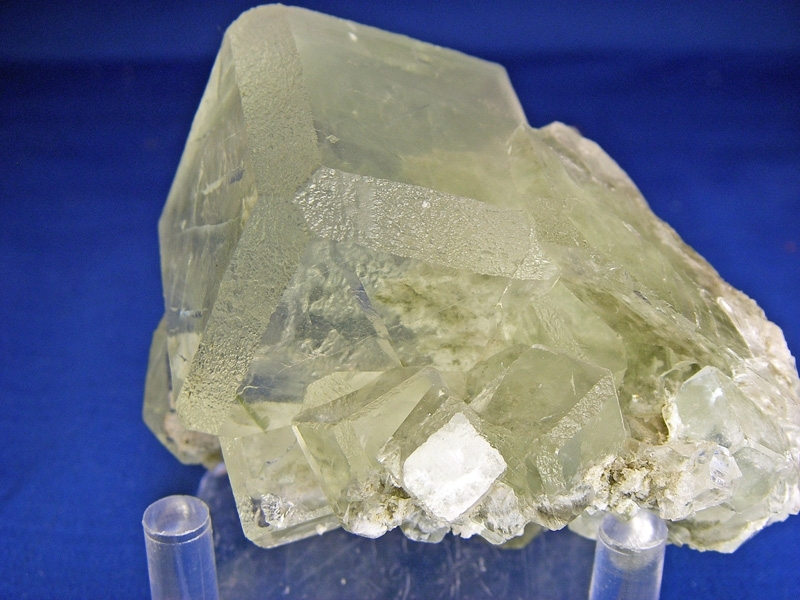 THIS SPECIMEN DISPLAYS REALLY NICE!